EXCLUSIVE! 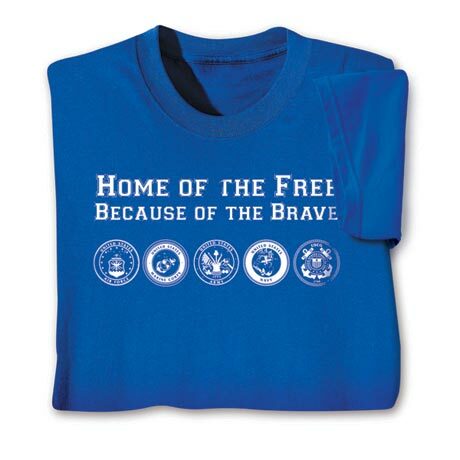 Bearing the seals of America's Armed Forces-Marine Corps, Army, Navy, Air Force, and Coast Guard-this shirt reminds us to honor and thank those who have served, and those who serve now. 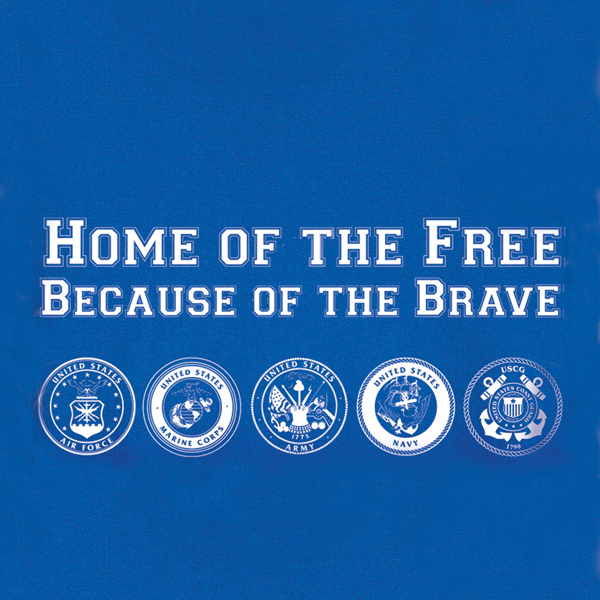 Available as a sweatshirt, hooded sweatshirt with front pouch pocket, or T-shirt, all in royal blue. Sweatshirts are 50/50 cotton blend; T-shirt is 100% cotton. Imported. Sizes M-XXL.